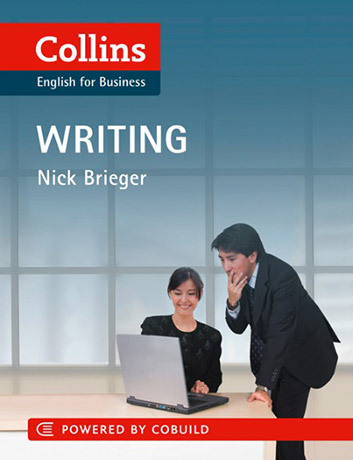 Collins English for Business: Writing will help you to write clearer business documents more efficiently. Easy-to-follow explanations and simple tasks will improve your writing style. You can choose to work on the units that are most relevant to you, or work through the whole book for a full course in business writing. This brand new self-study book is the ideal way for business people to refine and perfect their written English. It is aimed particularly at executives who communicate in written English frequently or work in foreign or multinational companies. Collins English for Business is a new series of self-study skills books which focus on the language you really need to do business in English ? wherever you are in the world. Each title includes tips on how to communicate effectively and how to communicate inter-culturally. Other titles in the series: Speaking and Listening. Twenty 4-page units featuring key areas, such as Getting the Right Tone, Linking Ideas, Writing Quickly and Simply, Dealing with Difficult Issues and Editing the Language. Powered by COBUILD ? using the real language of business English. Models and examples provide key vocabulary and guidance. Reference section with key phrases for written documents is included at the end of the book.